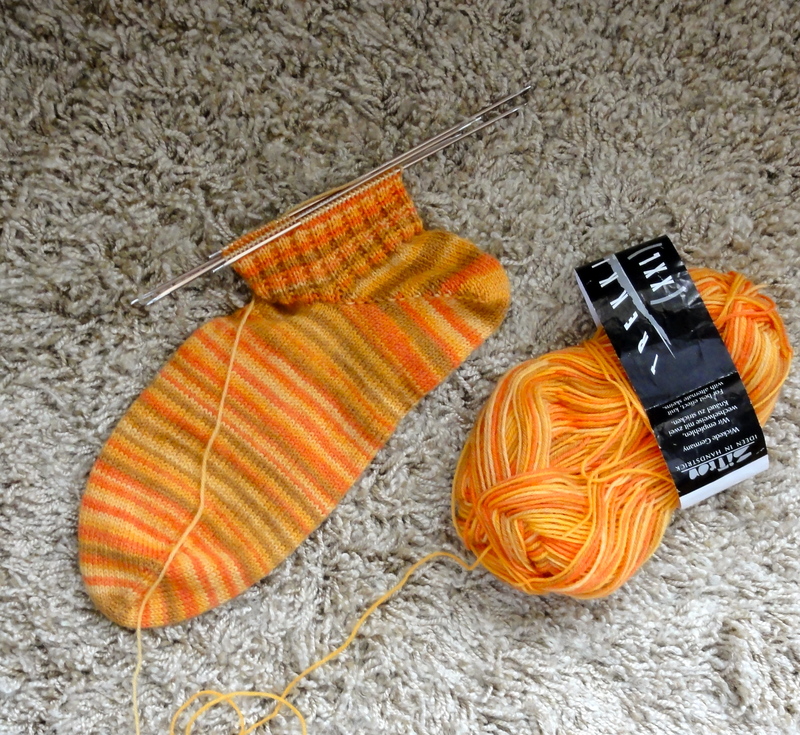 I worked a bit on the Vanilla Candy Corn Sock #2. 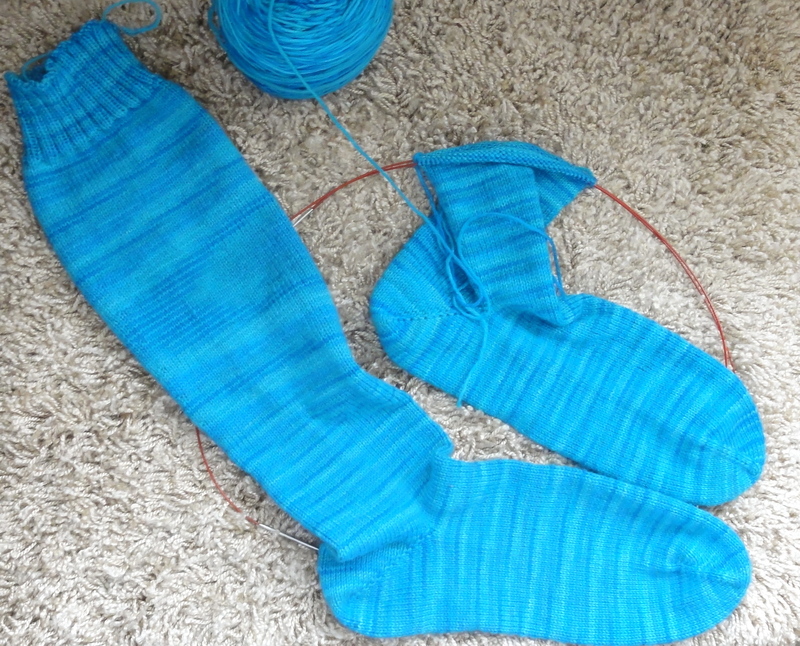 As you can see, these socks are going to be fraternal rather than identical twins. I took this picture before cast off the sock. 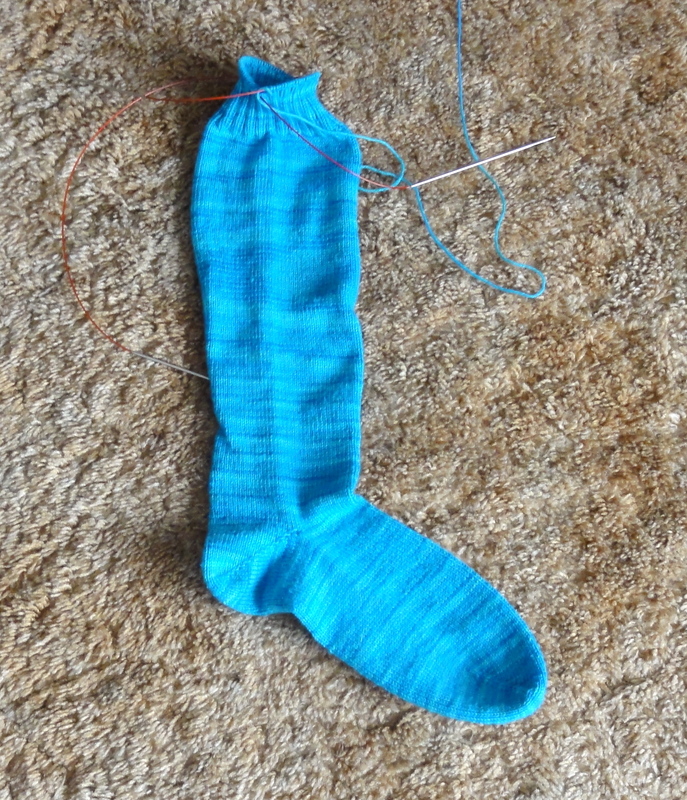 It’s sock #1 of Em’s Boot Socks, which I finished a few weeks ago. I sent it to Em to try on via my private, personal couriers, i.e., my DH and the boy, and I got it back yesterday via the same method, although for the return trip, the DH got the sock directly from Em. Because I knew I would be getting the sock back on Sunday, I started working on the foot on Saturday and worked on it yesterday, too. 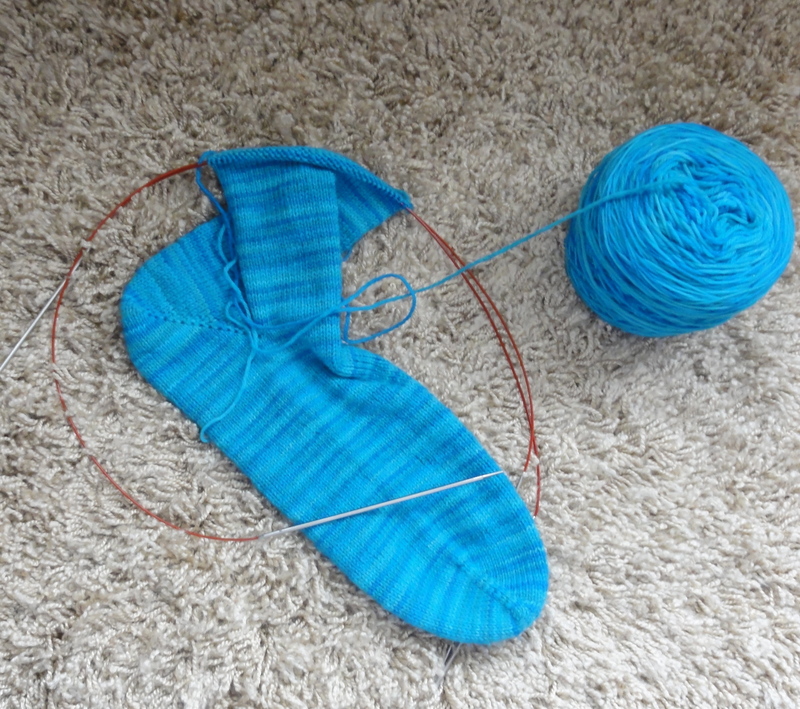 As of last night, I had already completed the first increase round on the leg of the sock. I want to have the sock finished by next Sunday so that I can give it to the boy to take back to the Burgh for Em to start wearing now that the weather is getting more on the wintry side. This entry was posted in Knitting, Socks and tagged knee socks, knitting and football, toe-up socks. Bookmark the permalink. I love those golden yellow socks, and the fact that they are individuals! Thanks. I love the color, too. 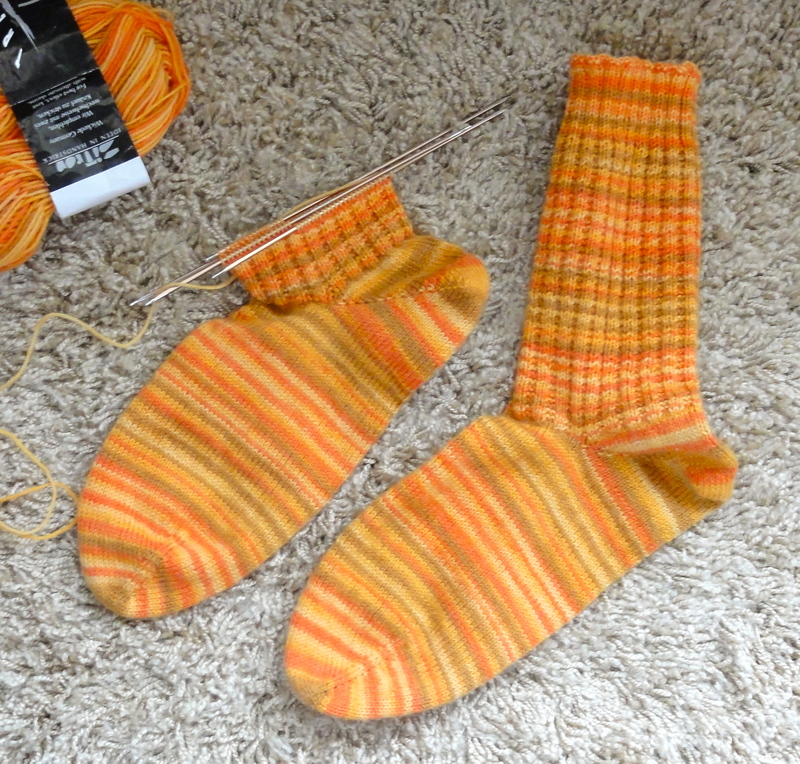 Trekking XXL is really nice sock yarn.